Buying a Nespresso machine can really make a difference in your mornings. Having an espresso is a great way to start your day, but making a cup using home espresso brewers can be difficult, and you don't really enjoy the same quality as what you can get from a coffee shop. Nespresso machines provide you with a convenient way to enjoy a delicious cup of espresso. However, these machines are not created equal and each one has its own distinctive set of features that can make choosing one challenging. To help you make your choice, here is our buyers guide to choosing the best Nespresso machine including brief reviews of our top ten. The Inissia is a compact Nespresso machine for coffee lovers who don't want to wait to have a cup of coffee. It takes less than a minute for the machine to heat up water to the ideal temperature and prepare a delicious cup of espresso or lungo. It has a high-pressure pump, which is easy to use and can deliver up to 19 bars of pressure, allowing you to make barista-quality coffee every time. In addition, the water tank holds enough water to let you make up to 9 cups. It can accommodate tall cups since the drip tray folds. The device also has an "energy saving" feature and has a class "A" energy efficiency rating. The design does not guarantee the pod will be in the right position, and some of them are crushed. The Pixie is the ideal choice for apartment dwellers who don't have a lot of extra space, since it has a small footprint. 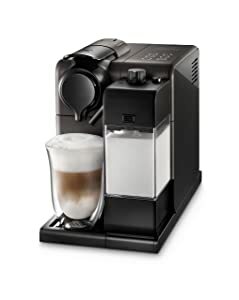 However, it still has the same great features as larger models, with programmable buttons, allowing you to customize the volume of coffee you make. It also alerts you when the tank is empty using red backlights. In addition, the used capsule container can store up to 11 used pods. The Pixie’s basic features are the same as those of other entry-level Nespresso models. You can make Espresso and Lungo using pre-set buttons that you can also customize to produce larger cups. The pump produces 19 bars of pressure so that you can make coffee comparable to those produced by professional baristas. To save energy, the device automatically shuts off after nine minutes of inactivity. As with all Nespresso models, it comes with a sixteen-pod "welcome kit" so that you can try out some of the most popular individual aromas. The Pixie is just 4.3 inches wide. You can preheat water in just 30 seconds. You can easily make espresso and lungo with pre-set buttons without having to choose settings. It has a smaller water reservoir than other Nespresso models. The foldable cup tray does not automatically fold up. If you’re looking to recreate coffee shop drinks at home without a hulking machine cluttering up your countertop, the enduringly popular Essenza Mini from industry legend DeLonghi takes some beating. 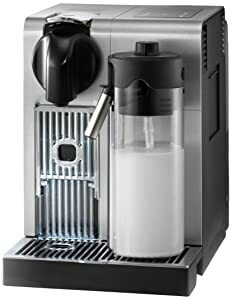 In fact, this is currently the smallest machine on the market if you’re an espresso fiend and you insist on your coffee short and strong. Available in 3 colorways, you can opt for a black-on-black or a splash of vibrant color with lime green and fire hydrant red accents. As with all the best single serve machines, top-notch coffee is only the push of a button and 30 seconds away. This is the ideal piece of kit if you have a hectic lifestyle but you’re not prepared to compromise on the quality of the coffee in your cup. Choose from espresso or lungo and avail yourself of the comprehensive range of Nespresso capsules and use the welcome pack of 16 to see which you prefer. There’s no standing on ceremony with this pocket rocket. You’ll have steaming coffee within 30 seconds, eco-mode kicking in within 3 minutes to save power and auto shut-off after 9 minutes of idleness. You’ll get speed, safety and economy in one appetizing package. Perhaps the best thing of all? You’ll get all this at an almost laughably low price and if you act quickly, you’ll get a fairly steep discount and a great bargain just in time for Christmas. Why choose between long and short coffee when you can get both with the Essenza Mini? The VertuoLine range uses Grand Cru capsules whose range includes 4 genuine espressos and 10 fresh brewed coffees, with different pod sizes. They also make two cup sizes – 1.35-oz for espresso and 8-oz for coffee. Every machine comes with a "welcome kit" containing 12 capsules of individual aromas. The VertuoLine uses advanced Centrifusion technology, which blends the ground coffee with hot water at as many as 7,000 rotations per minute to produce flawless crema. The VertuoLine uses scanning technology to determine the type of Grand Cru to be brewed then automatically adjusts the brewing parameters to fit. Brewing is performed with a one-touch system that starts by closing the lever and automatically ejects used pods once the beverage is done. Pre-brewing time is only twenty seconds. In addition, the cup support has 3 settings to support various cup sizes. 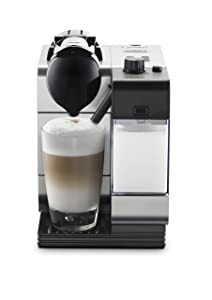 It also comes with an Aeroccino milk frother to produce cold or hot milk froth. It has one of the shortest heat-up times. 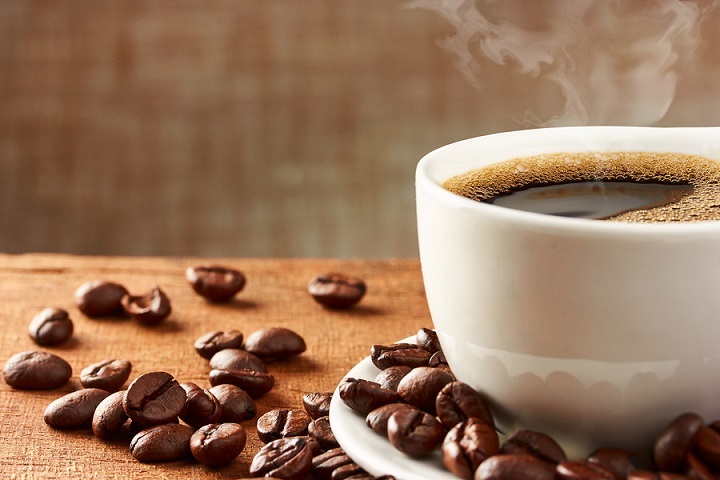 Centrifusion technology blends coffee more gently. It does not produce steaming hot coffee. The pods are more expensive than the original line. This nifty coffee and espresso maker combined lets you enjoy a choice of 2 longer coffees along with a short, stiff espresso all at the push of a button. 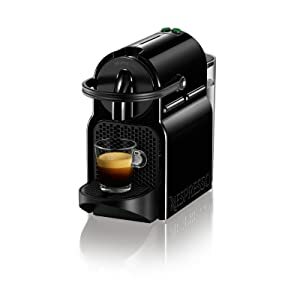 Single serve coffee makers are centered firmly around convenience and user input with this DeLonghi branded Nespresso machine is reduced to an absolute minimum. There’s no messing around tweaking settings, the machine does pretty much all the legwork for you with a perfect golden cup of coffee delivered every time. Available in a sleek matte black, a minimalist gray or striking red, you’ll get a machine that looks great on any countertop but is not a case of form over function. After all, what’s the point of an attractive coffee machine if it spits out barely drinkable slop? You’ll be restricted to the Vertuo line of capsule but you’ll get plenty of choice so don’t let this put you off. While you might initially think the pods are pricey, if you compare buying them to a daily trip to Starbucks, it suddenly seems like much better value. For a quick and easy method of bringing gourmet coffee into your kitchen without any of the fanfare of a more labor-intensive brewing method, the VertuoPlus is well worth popping on your shortlist. If you act quickly, it’s available at a steep discount too so what are you waiting for? The Evoluo is a new version of the original VentuoLine, which has the same basic features but several upgrades. The Evoluo has a removable water tank with a capacity of 54-oz vs. the original 40-oz and the used capsule container holds 17 pods against the original’s thirteen. The Evoluo also addressed a common complaint that many buyers had about the original VentuoLine, which was that it did not produce hot enough coffee. The new model now brews at a higher temperature to ensure the satisfaction of those who want their coffee scalding hot. In addition, the external design of the Evoluo slightly changed, since it no longer has the rounded head of the original VentuoLine machines. The water tank is larger, allowing you to produce more cups at a single session before having to replenish it. Since the device uses the bar code to determine settings, the user has no flexibility to customize their coffee drink. This model is the same as the CitiZ&Milk but does not come integrated with a milk frother. The compact design makes it a good choice for urban dwellers with limited counter space, while still providing a good range of features. You can automatically make Espresso or Lungo drinks using the programmable buttons, with the option to reprogram them for your desired volume required for different recipes. The drip tray also folds to accommodate taller glasses. The high-pressure pump produces 19 bars of pressure to perfectly extract the aroma and flavor of your chosen Nespresso coffee capsule. The CitiZ is a good choice for those who want a quick cup to perk them up before they have to rush to the office, since it heats up to the ideal temperature in just 25 seconds. To save energy, the machine automatically shuts off after being inactive for 9 minutes, which you can extend up to 30 minutes. It allows you to quickly make coffee with a consistently high level of quality. The machine experiences some dripping after the cup is brewed. The coffee produced is a bit too hot and you may not be able to drink it at once. The Lattissima Plus is designed to work with Nespresso coffee pods but has its own distinctive identity and unique set of features. You can enjoy a cappuccino in just a few minutes with the automatic one-touch system. The system also features a removable 12-oz milk carafe that you can store in the refrigerator for later consumption. It heats up and is ready to use in a matter of seconds. Used pods are automatically ejected into a tank that can accommodate up to 10 pods. There are also buttons that you can use to produce other drinks such as espresso, latte macchiato, hot milk or long coffee. Furthermore, you have the option to adjust the amount of coffee or milk for every selection. The Lattissima Plus is easy to clean since the drip tray and water tank are removable. As with Nespresso machines, the Lattissima Plus comes with a welcome kit including a selection of Nespresso coffee pods. It heats up in as little as 40 seconds. The control panel features 2 coffee and 3 milk choices. The power off feature setting can be customized from 30 minutes to 8 hours. The amount of coffee or milk you can put in is limited. The milk in milk-based drinks is just warm. In addition to DeLonghi's proprietary Automatic Cappuccino System, the Lattissima Pro boasts of a range of premium features. It has a LED touchscreen that is pre-programmed to let you make 6 coffee drinks, including espresso, cappuccino, latte, ristretto, hot milk and lungo. However, you can customize your volume settings by adding more coffee or making a larger drink. You can also make hot chocolate or tea using the hot water option. The cup support provides you with the flexibility to accommodate different-sized cups for various drinks, folding down for larger glasses and folding out for smaller cups. The Lattissima Pro also sanitizes the milk wand with a fifteen-second blast of hot steam. In addition, it has a removable used pod tank behind the drip tray that can hold up to 16 used capsules. It also has a detachable 0.5-liter milk container that lets you store unused milk in the refrigerator. It is simple to make the type of coffee drink you want. It heats up and is ready for use in less than a minute. You can use different cup sizes. It does not really froth or steam milk. You still need to disassemble and clean the device every two days. The VertuoLine provides you with a premium coffee experience, since it is designed to work with Nespresso Grand Cru gourmet pods. Grand Cru capsules come in 2 sizes – large for coffee and small for espresso. To ensure that each cup is perfectly brewed, each Grand Cru pod has a barcode that is read by the coffee maker to automatically set the appropriate brewing parameters. You can start brewing by pressing a single button, and the pod is automatically ejected afterwards. The used pod container can holds 13-20 pods. The VertuoLine can brew 10 coffee varieties and 4 espresso variants, and accommodate 2 cup sizes. It also features a 40-oz removable water tank. The exclusive Centrifusion technology blends the coffee at 7,000 rpm to ensure the perfect crema. Heat up time takes only 15 seconds. This package, however, does not include an Aeroccino Plus milk frother that you can get with other VertuoLine models. Lets you easily brew premium gourmet coffee at home. You don't have to adjust the settings to enjoy perfectly brewed coffee. 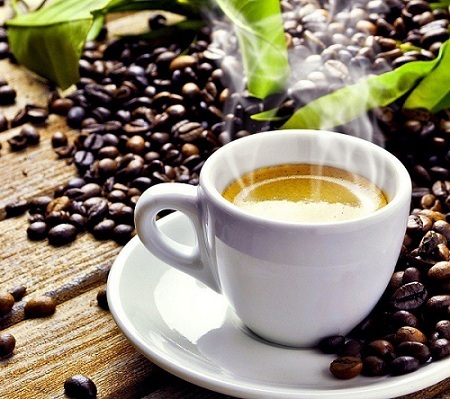 The temperature of the coffee beverages produced is not hot enough for many coffee lovers. It produces foamy crema that is not to the taste of some coffee aficionados. 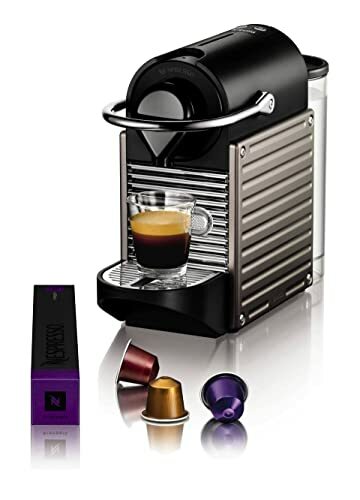 This user-friendly Nespresso machine makes brewing a cup of espresso or other milk-based coffees convenient and easy. 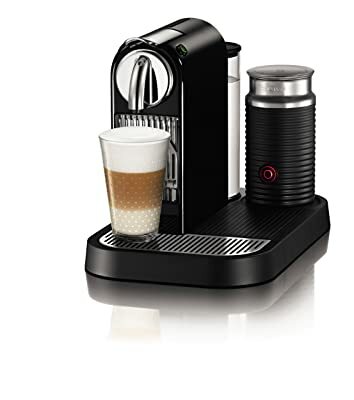 It features two programmable buttons that you can use to make Lungo or Espresso drinks. It comes with automatic flow-stop for a perfectly sized cup. You can also customize to your desired volume. The drip tray can be adapted to accommodate taller cups. In addition, the CitiZ&Milk comes with an integrated Aeroccino milk frother, so that you can create all sorts of milk-based recipes. The powerful pump produces 19 bars of pressure to ensure that you get coffee comparable to those sold in coffee shops. The heat-up system ensures that the brewer is ready to go in less than 25 seconds. The removable water tank can hold up to 34-oz and the used pod container holds 10 capsules. It also comes with an energy-saving feature that shuts off the machine automatically after 9 minutes of idleness (which can be extended up to 30 minutes). The included Aeroccino milk frother allows you to make a wider range of coffee drinks. It is easy to use and produces a high quality coffee. The machine is easy to clean and maintain. It does not have an off/on button, which can be confusing to some users. The Lattissima Touch makes it easy to brew a perfect cup of coffee, with 6 pre-programmed touch sensor buttons in the control panel for some of the most popular coffee drinks, including espressos, macchiatos, cappuccinos and lattes. 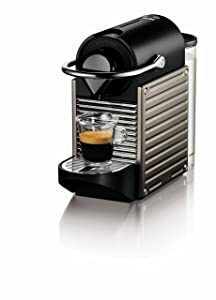 It is designed to work with Nespresso capsules to ensure that making your favorite coffee drink is convenient and quick. The Lattissima Touch also features the DeLonghi Automatic Cappuccino System, so you can create flawless espresso beverages. It is ready to use in seconds with the Thermoblock heating system. The machine produces 19 bars of pressure to exact the utmost flavor from the Nespresso pod while generating the right temperature. A carafe is also integrated with the brewer, allowing you to store unused milk in the refrigerator. The design ensures that the milk does not touch the unit so it stays sanitary. You can choose your preferred water level to produce your desired strength. You can choose your desired amount of milk to produce the drink you want. It produces only one cup of coffee at a time, which can make it inconvenient if there is more than one person making coffee. One of the most challenging aspects of selecting a Nespresso machine which suits your needs is knowing precisely what to look for. In this section, we outline some of the things we think that you should consider before choosing which model to buy. Essenza - This is a basic Nespresso maker with a limited range of features and a compact size that lets it fit on most kitchen counters. It also has an ergonomic design to make it easy to use. However, it is not as fast as other models such as the Pixie and does not come with a cup warmer. Pixie - The Pixie boasts of the simplicity and affordability of the Essenza but it can reach brewing temperature in as little as 25 seconds. However, it does not have a coffee frother which cappuccino drinkers may miss. U-series - This range consists of three types – the standard, the U Milk which has a milk frother, and the U Mat, which has the same features but with a premium matte finish. All three have tactile, intuitive and adaptable features. CitiZ - This range also features three types, including the regular model, the CitiZ&Milk and the CitiZ & Co. The CitiZ&Milk features an "Aeroccino" milk frother while the CitiZ & Co. consists of two distinct coffee machines separated by a shared water container. Latissima + - This range is designed to brew milk-based coffee and features a milk steamer and a one-touch milk carafe. Aside from easily making cappuccino and espresso, among others, you can also customize them to your taste with the extra set of controls on top of the machine. Maestria - This range allows you to express your barista aspirations by giving you a hands-on experience when making your coffee. It features a steam pipe that lets you determine the temperature and texture of the milk. An optional Barista Kit is also available for this model that comes with a shaker and cappuccino kit. In addition, DeLonghi also makes coffee brewers designed to work with Nespresso pods. Each of these models has its own set of features, so the question is which one can meet your specific requirements? The Maestra is for those who cherish the experience of making their own cup of espresso or cappuccino. The CitiZ & Co. is designed for offices since it can accommodate several coffee makers at once. One important element that you should keep in mind is the size of the cups that you can make. Lower end and more compact models may only be capable of making smaller cups while higher-end models provide more versatility in the sizes you can brew. Before you buy, read the specifications of the machine to be sure that it can make the type of coffee drink that you like. For example, if you drink cappuccino, you want a machine with its own milk steamer so you don’t have to prepare the milk separately. Most people don't want to have a Nespresso machine that is too complicated to operate, particularly if they are using it in the mornings before they go to work. The machine should have controls that are easy to use and navigate, as well as being intuitive so that you can easily figure out how the controls work. To make operating your Nespresso machine more convenient, look for a model, which is easy to clean and maintain. For instance, a descaler removes mineral scale from your machine's hot water tank to sanitize it and extend its life. People who live in an apartment or who otherwise have limited space don't want a machine that is too big and takes up too much space. Thus, they are looking for a machine with a compact size but which still has the essential features they need. Although functionality should be your main consideration, the appearance of the machine should be a close second. After all, you don't want a Nespresso machine which looks unattractive on your kitchen counter or dining table. This is especially true if you regularly have guests. Some prime considerations include the color and finish of the machine. Although this should not be your main concern, it goes without saying that most buyers are on a budget, and this dictates the type of machine they can buy. Fortunately, even the lower-end Nespresso machines come with features that make them functional for coffee lovers so you don't have to sacrifice functionality if you are looking for affordability. A warranty protects you in case the machine has a defect or experiences problems. Consider how long the warranty lasts and what it covers. **Above, you'll find our more detailed reviews, but you can also click the links above to see current prices or read customer reviews on Amazon. When it comes to choosing the best Nespresso machine, it ultimately comes down to your personal preference. However, if we had to choose just one, we will pick the Nespresso Pixie. 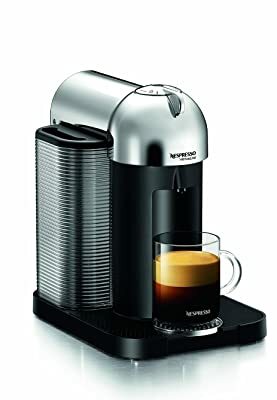 This is the best overall Nespresso maker since it provides you with all the basic features you need and gives you outstanding value for money. The Pixie allows you to quickly make a cup of lungo or espresso but still provides you with the ability to make custom volumes if desired. It generates the same powerful pressure as more premium Nespresso models so you have an assurance that you can brew the same high quality coffee. Also, it alerts you when you have to refill the water tank. In addition, its compact design gives the Pixie versatility since you can use it in various settings whether it is an apartment kitchen counter or an office kitchenette.